What makes for good bird photo? This question has many answers depending on who you ask. Granted there are general requirements a photo must have to be considered a good bird photo. In my opinion, a good wildlife/bird photo has to be in focus, particularly the eyes of the subject, the subject should be what attract one’s eye into the photo, and no other elements in the photo should be a distraction to the viewer. As I suggested it above, there are many answers to this question. As one would expect, professional wildlife photographer are more demanding with regard to the criteria used to judge a good bird photo. Among many others, focus, composition, subject’s expression or behavior, and rarity of the bird come to mind. Conversely, for people who are less experienced birders and photographers, the basic elements are important, but the expression and the story a photo tells appear to be important. I base this affirmation on the number of “likes” photos published by my Facebook friends get. The photos I show below had many “likes” before I shared them with my circle of Facebook friends. Interestingly the response, (likes given to the photos) was similar among people in my circle of Facebook friends. These are photos of some of the most common birds in their distributional ranges and were taken by people who are not expert by any stretch of the word. They consistently got higher number of Facebook “likes”. Pick the most common bird in the area you live; that is how common these birds are. However, photos of rare birds with less “expression” were given fewer “likes”. Moreover, experienced photographers and birders were more likely to give a “like” to photos of rare birds than a good photo of common bird. Perhaps experts consider what it takes to obtain a photo of a rare bird. 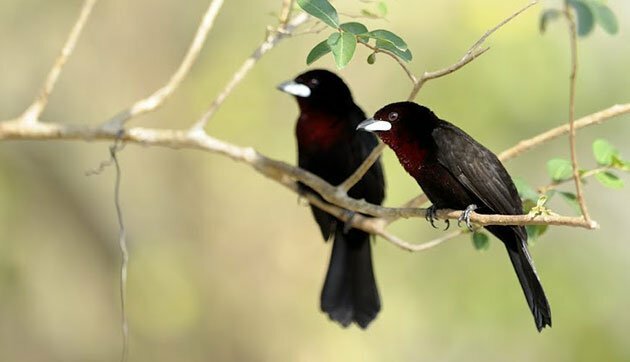 Blue-Gray Tanagers. Photo: David Cespedes. 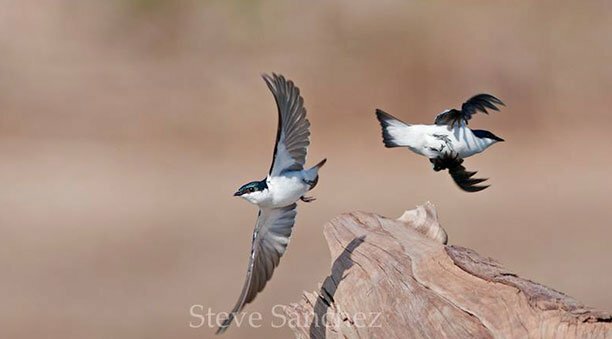 White-winged Swallows. Photo: Steve Sanchez. Because I happen to know some about the people who gave “likes” to these and other photos, I was able to get an idea of who likes what. This is perhaps marketing 101 where the expression and story of a photo trump technical attributes. As they say, content is king and this is the simple lesson I draw from this simple experiment. 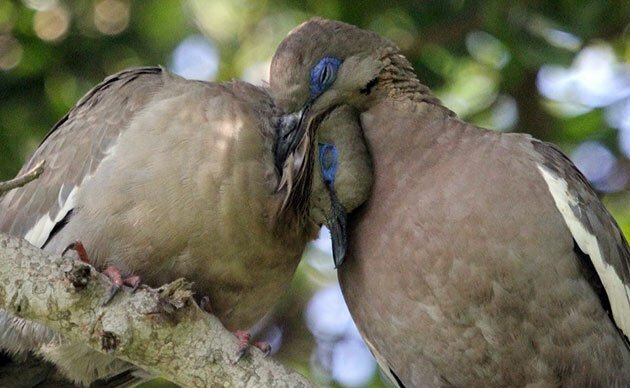 You don’t have to own fancy photography equipment and go to Africa or Antarctica to take great photos; great opportunities to take photos of common birds most people like are found in your own backyard. Good observations, Alfredo. I too find that people “like” my photographs that tell a story–an egret eating a big frog, an owl giving up a pellet, dragonflies mating. But, context and audience is everything. I find I get different reactions when the same photograph is posted on Flickr and Facebook–different audiences, different way of presenting the photographs. Spot on Donna, different reaction from different audiences. Roelant who posted a comment above explains the likely reason why people in general like some bird photos over others. It is mostly about what we can relate as people. Different audiences differ on what they can relate, hence the preference over some photos over others.